We can all learn something from Peru. These links go to Amazon.com. If you purchase these books there, I will get a commission to off set the costs of operating this site. Bandwidth is not free, you know. Conquest of the Incas by John Hemming. (Harvest Books, 2003) I read this book in 1983 and have reread it several times since. It's a masterpiece. The Peruvian Reader, edited by Orin Starn, Carlos Ivan Degregori and Robin Kirk (Duke University Press) -- this book is driven by a passion for Peru and its cultural depth. An inspiring selection of texts. by Maria Rostworowski De Diez Canseco (December 1998) Cambridge University Press -- Rostworowski has combined painstaking work in historical archives with a panoramic historical vision. She has produced a pathfinding text about the Inca Empire. 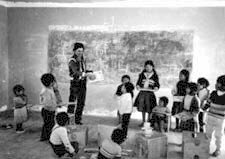 Peru: Society and Nationhood in the Andes by Peter F. Klaren. (December 1999) Oxford University Press -- I have known Peter for 15 years so that may influence my opinion about this book. His bibiographic essay is a precious jewel and covers far more material that I would ever dare.